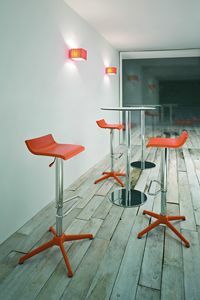 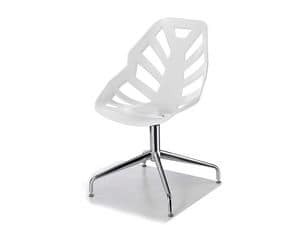 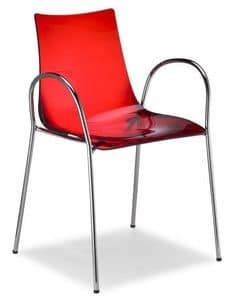 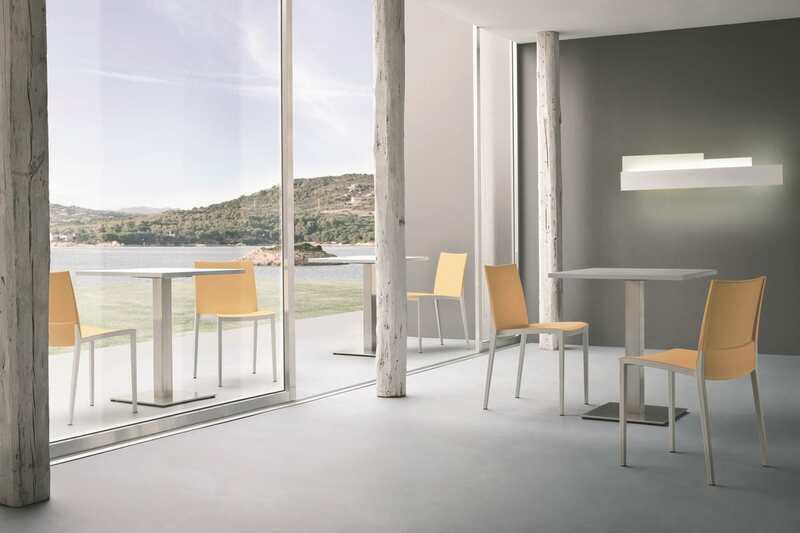 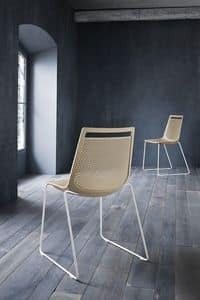 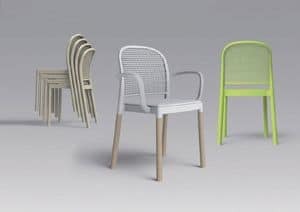 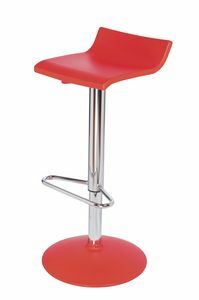 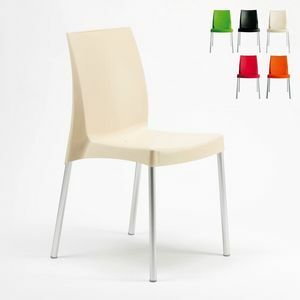 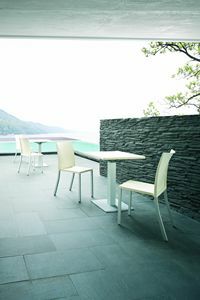 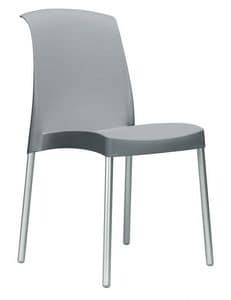 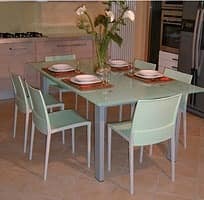 Stackable chair for kitchen, bar and restaurant. 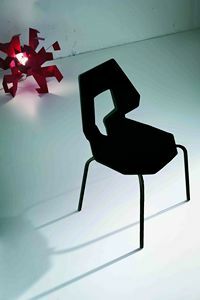 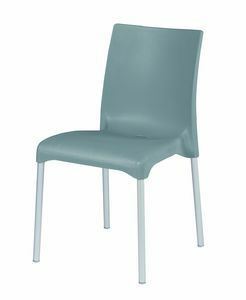 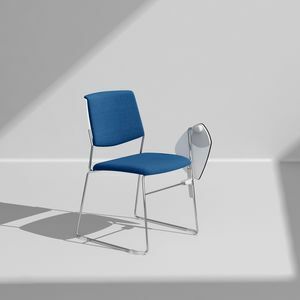 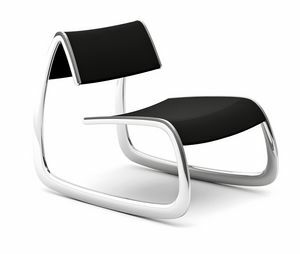 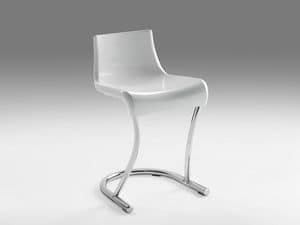 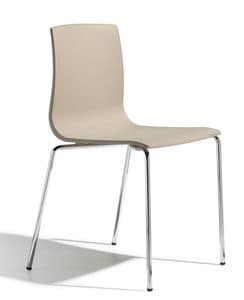 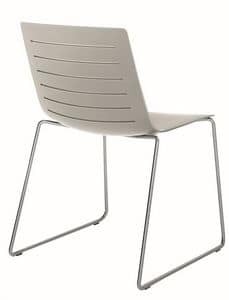 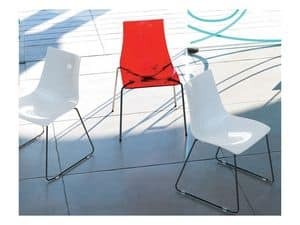 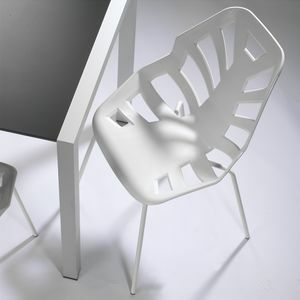 The polypropylene seat and back rest on a structure made of technopolimere/elastomere. 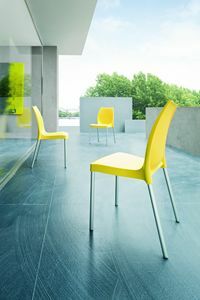 Stackable and available in several different colours.